The rise of mobile apps and mobile app development has helped the marketers to take their product strategy and business to a whole new and unforeseen level. In the recent past, there has been an acute surge in stature of mobile devices and mobile technology. Over the years, it (Mobile Devices) has evolved from a top driven toy to an immensely operative and functional business tool. With the advent of mobile technology, mobile apps have also become a household name. Studies show that there will be 20% annual compound growth in the global revenue generated by mobile apps. Also on the monetary front, apps will collect about $26.4 billion by the year 2020. Smartphones are as common as internet users nowadays and from marketers perspective, it is all working out good. Modern smartphones are compact, easy mobile and yet they have all the capabilities (Or I should say higher capabilities) than a desktop computer. With the technology advancing day by day, businesses are more inclined to use mobile apps and their intuitive features and high speed data access. For the marketers also, the apps have made the market place a little easier to access and they can get any related or relevant information at their finger tips in order to stay connected with the hyper competitive business world. The working ability and consistency of mobile apps have been remarkable irrespective of the size and vertical of the company. Marketers can now reach even the remotest of customers easily through the algorithms of mobile app and take their business to never seen before heights. 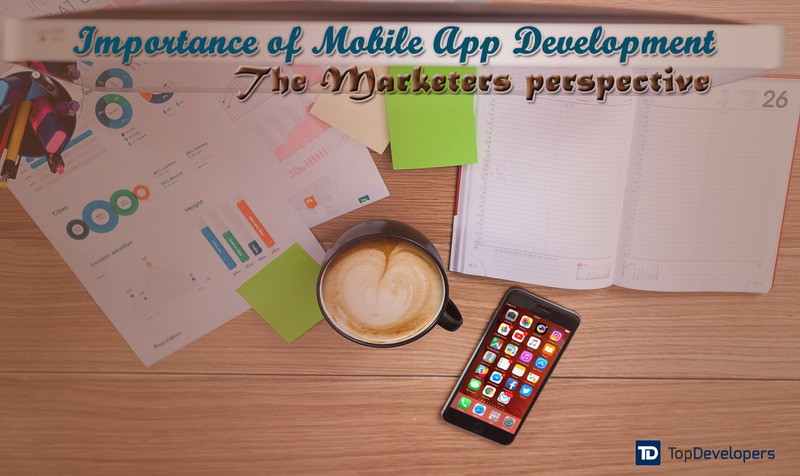 So, as the vitality of mobile apps are increasing, it is mandatory to know the importance of mobile app development from the marketers’ perspective. The essence of Mobile app development has revolutionized the whole idea of developing businesses across different sets of market. Therefore, for the businesses marketers, it is easy to connect with their customers with the best marketing tool and make them believe that they are always there. Mobile app development can help the marketers to promote their product across different platforms simultaneously or at different times. Moreover, mobile app development provides different options of app development such as native and hybrid app, so the marketers can channelize their method and use the app according to the requirement. In addition to this, mobile apps provide On-the-go marketing to the marketers. For the regular customers, it can create a friendly environment by personalized messaging features or push notifications and can reinforce the company’s brand or business. It could also help in retaining the customers in the long run and provide exuberant facilities so that they will have a positive review for your product while referring to a friend or relative. From the marketer’s perspective, mobile app development has been a boon and a blessing in the forefront. They (mobile apps) have made the process of sales a lot easier and are consistently changing the way people buy and sell products and services. It has made options wider for the customers in order to choose his/her desired product and for the marketers too, it has given a new lease so that they can analyze the customer behavior in a much improved manner. Timely after sales services and guidance related to any kind of query is available before hand on the mobile apps so that the client remains dedicated to your product. A confined mobile application saves your time as a marketer and gives you rich data and analyzing options. Mobile apps make it easy for the marketers to capture the information about the customer so that they can analyze the targeted customer in a much healthier manner. A mobile application provides the most emphatic and eye catchy medium of displaying the product and services in front of your existing or prospective customers. 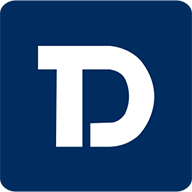 Each time they can use the mobile app as a “one stop point” to get the entire desired, relative and needed information while shopping or surfing through the products. In addition to this, the content in the mobile app can provide each and every minute thing related to the app, so the customer is guided to the core before actually using the product. Customer engagement can also get a huge boost due to mobile apps as it is their foremost and prime aspect. The apps ensure one thing for the marketers that, rather than being on the doorstop, the item or the product is in the palms of the consumer’s hand. The customers can be easily notified about the new launch and updates and above all the consumers can interact or use the app anywhere as per their convenience. In real sense the mobile app development has opened the gates of new opportunities for the marketers as well as for the new generation consumers. Mobile app development by far has been the most uprising and the most used technology in recent times. With their growing status in businesses, marketers are keenly looking forward to them in order to make their work easy, well synchronized, well maintained and above all providing the ease of accessibility. The evolution of mobile apps have made them the most trusted companion in almost every sector of life and until has been subtle in every department.